Victory over Japan Day, also known as V-J Day, is an observance celebrated in some countries to commemorate the surrender of Imperial Japan in World War II. It can be held on different days depending on which exactly event is commemorated, as well as on the time zone. For example, Victory over Japan Day in mainland China and Hong Kong is celebrated on September 15. On August 15 (or 14, depending on the time zone), 1945, Japanese Emperor Hirohito announced that the Japanese Government had accepted the Potsdam Declaration and surrendered. The surrender document was signed on September 2, 1945 aboard the USS Missouri in Tokyo Bay. Therefore, some countries celebrate V-J Day on the anniversary of the initial announcement of Japan’s surrender, while other commemorate the anniversary of the formal surrender ceremony. Following the official surrender of Japan, the Nationalist Government of the Republic of China announced three-day celebrations of Japan’s surrender, starting September 3. Between 1946 and 1949, September 3 was celebrated as Victory of War of Resistance Against Japan Day. 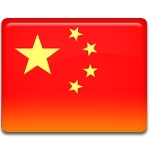 In 1949, the Communist Party of China proclaimed the People’s Republic of China on the territory of mainland China. The Nationalist Government pulled out of the mainland and relocated to Taiwan. The PRC continued to celebrate September 3 as Victory over Japan Day, whereas in Taiwan it is now celebrated as Armed Forces Day. Since 2014, Hong Kong has celebrated V-J Day on the same day as mainland China.